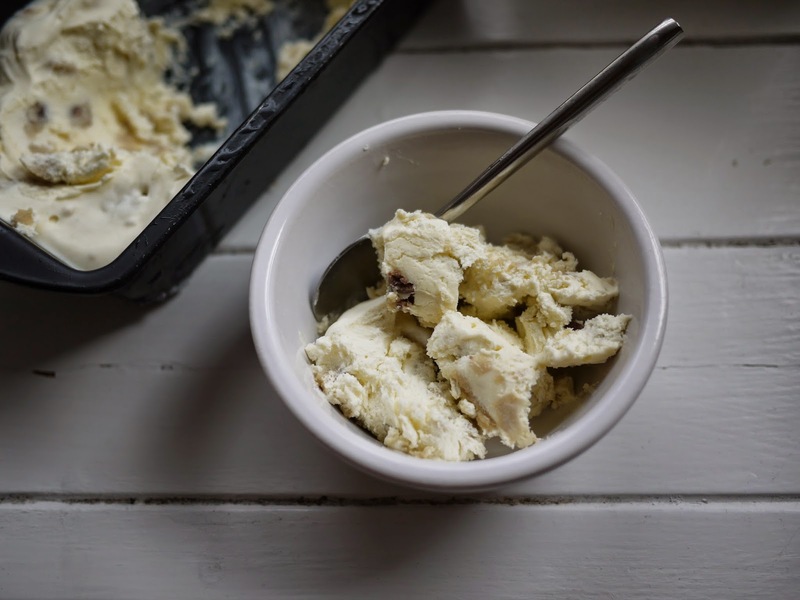 Despite writing a blog that is, quite frankly, sweeter than the inner most depths of a Haribo factory, I've yet to include an ice cream recipe. Partly I've been discouraged as we don't own a one of those unwieldy ice cream maker-machines, partly because we've only the teeniest of freezers and mostly because the corner shop five minutes away has yet to run out of Twisters. 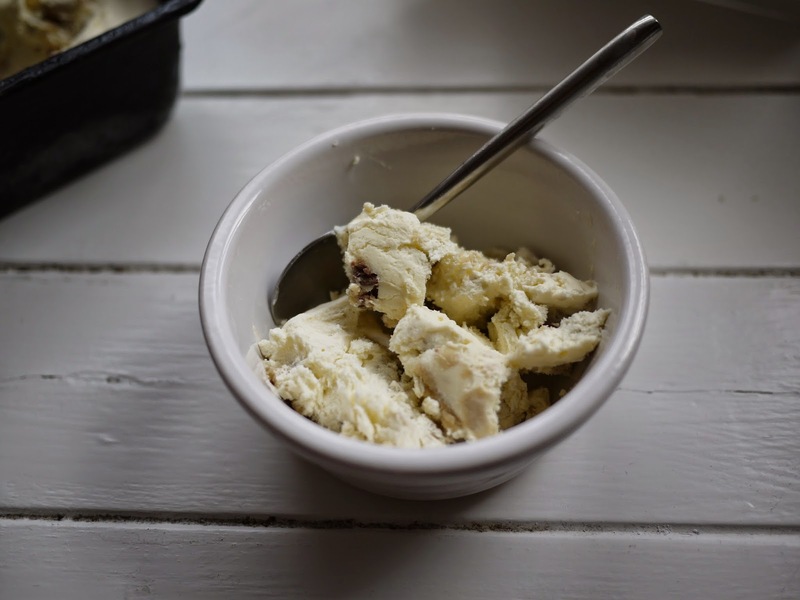 But then I read loads of great no-churn ice cream recipes, it got to hot to switch the oven on and we ate loads of frozen peas one night, freeing the teeny freezer for sweeter stuff. I spent much time researching salivating over various recipes online (Peach and Ginger! Margarita! White Chocolate and Blackcurrent!) and thought of recreating the retro, cardboard-wrapped Neapolitan ice cream block of the hot summers of my childhood. Then I remembered everyone left behind the poor, forlorn, unloved vanilla layer. Making the nation's favourite ice cream seemed an idea...but it seemed the nation can't decide between chocolate and vanilla. 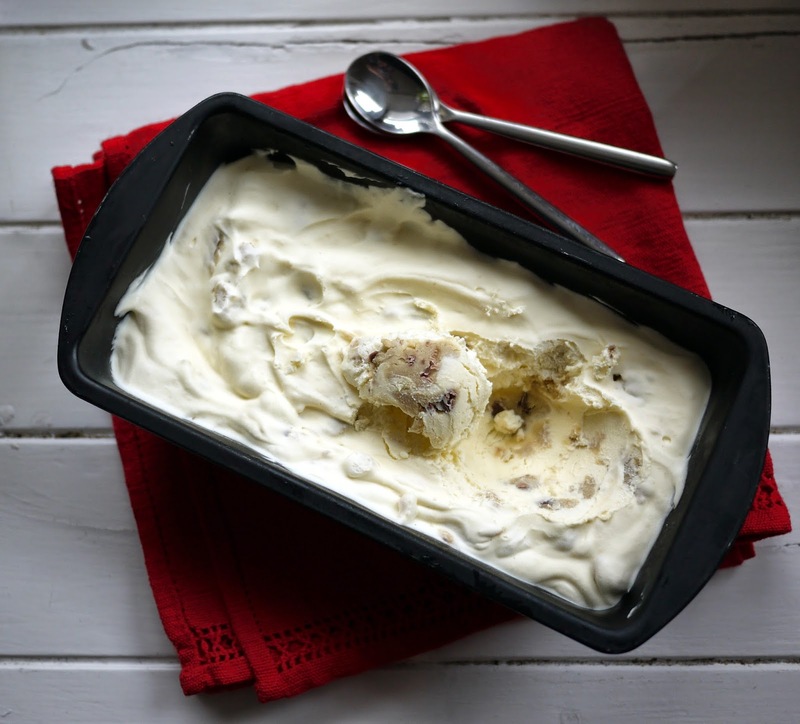 It was our recent USA holiday that inspired my final choice, where the world's first Chocolate Chip Cookie Dough Ice Cream was made exactly thirty years ago. This is such an easy-peesy ice cream recipe. Just three ingredients and no need for a cumbersome, clunky ice cream machine. And the resulting ice cream is so rich, smooth and velvety it really ought to be banned within a five mile radius of any coronary care unit. Nestled among the cream are nuggets of fudgey, squidgy cookie dough and chunks of chocolate. 1. Firstly make the cookie dough: melt the butter in a small saucepan. Once melted, add to a large bowl with the caster and light muscovado sugars and cream together. Add the egg and milk and beat to combine. Mix in the flour, salt and baking powder with a wooden spoon and add the chocolate. Stir well. 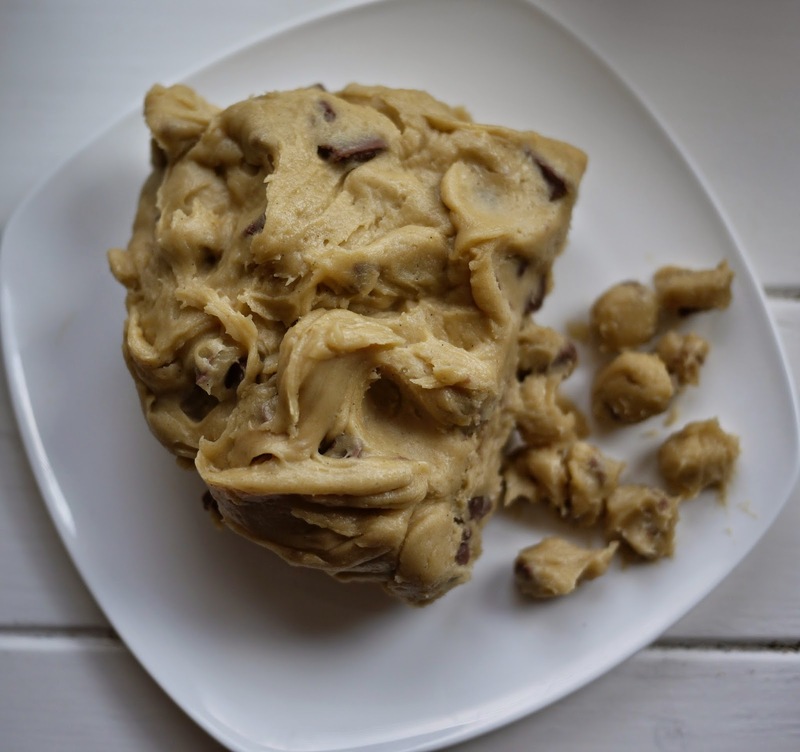 *The recipe only uses around half of the cookie dough; the rest you can bake into cookies. Yay, two desserts for the price of one! oh good lord, look at the cookie dough... 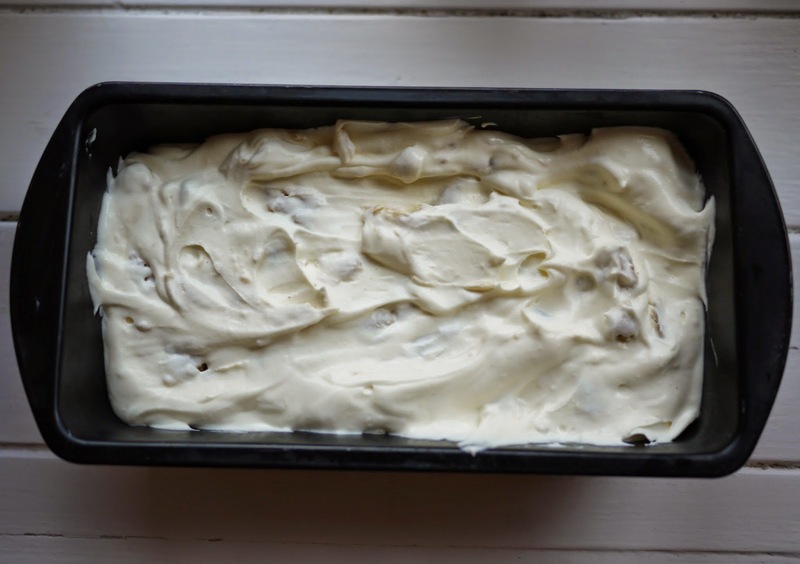 I would basically eat most of this ice cream as I was making it... gorgeous stuff! I had to resist so much for doing just that Dom..,realistically it should probably be half as big again! Nice recipe! 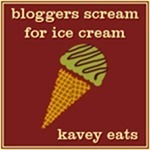 I'm tackling ice cream for the first time, for the We Should Cocoa challenge this month. I haven't made ice cream before for much the same reasons as you - no churning machine and never any room in the freezer. I think this hot weather makes it compulsory as well Suelle. There's no way I'm going anywhere near the oven right now! I agree with Dom. Would it be so wrong to skip the final freezer part and just eat it as it is?! There is nothing about this that isn't awesome! I don't think I've bookmarked a recipe quicker in my life! This looks soooo good. Thank y Jo- it lasted less than 24 hours! Yum. Seriously, very yum. Just the thing for a hot night like tonight. It's even too late to buy a Twister tonight - bring on the Twister recreation. 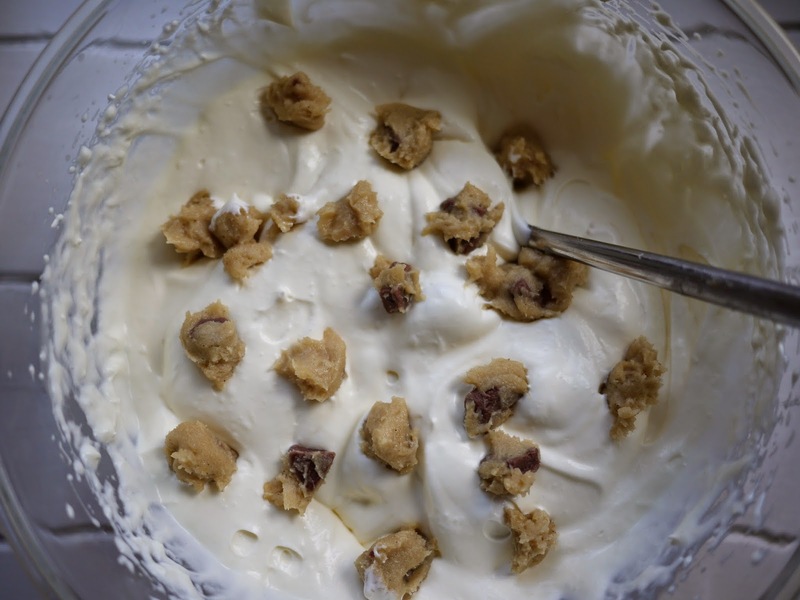 Why have I never made cookie dough ice cream? Looks SO good and we often have some cookie dough in the freezer too!!! It really was...this will certainly not be the last time I make this! OMG! Yes please! I just got myself an ice cream maker and this looks amazing. I fear for me health and what remains of my waistline once I figure out how to use it! Yes, the only slightly negative things about this ice cream is that it probably isn't the healthiest. Ah well! Ohhh- do let me know how you got on making it!